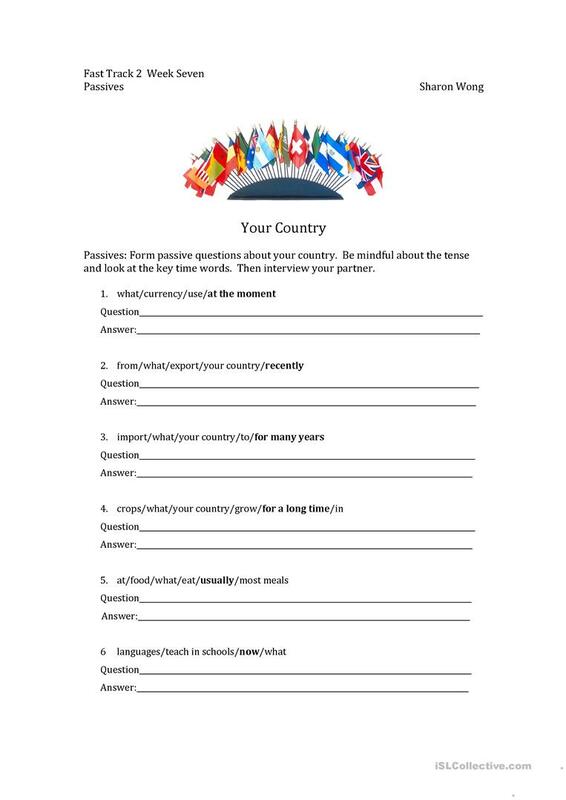 Using prompts and key time words, students formulate passive questions and interview their partner about their country. Teachers should review when certain tenses are used and time words that usually follow each tense. Teacher key provided. 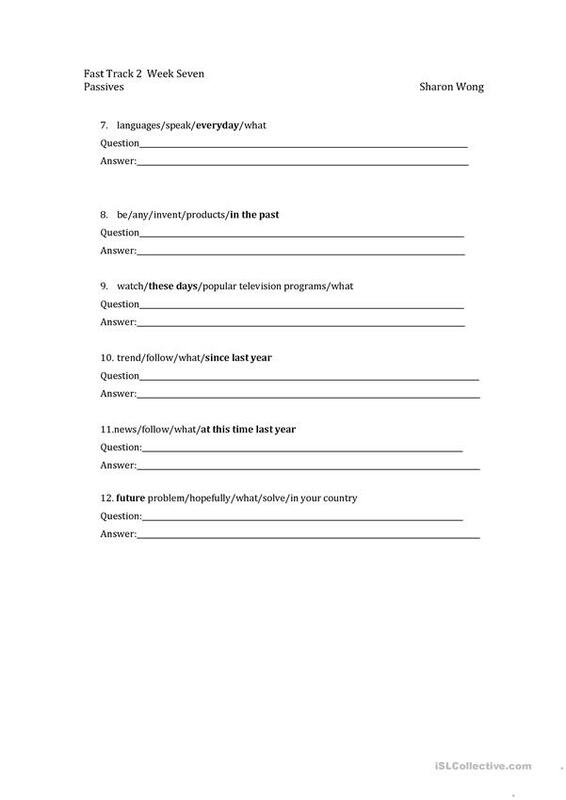 The above downloadable worksheet is intended for business/professional students and adults at Intermediate (B1) and Upper-intermediate (B2) level. It is great for practising Passive voice or active voice in English, and is a valuable material for improving your class' Speaking and Writing skills. It is focused on the theme of Countries. There is a key provided with the exercises.